Hatches: The skwala hatch has been on the Big Hole for the past week. This is a shy, unusual aquatic insect in that the male doesn't have the ability to fly very much due to the shortness of its wings. Trout look for them falling off willow and tree branches. Best Techniques: A dry/dropper combo is working well on warmer days when the trout are more active and looking for the skwalla stone flies. Tie on a #10 skwalla dry fly and attach a #12 Kaufman mini stone fly to the bend of the hook. Since the skwalla fly doesn't fly very often, trout look for them near the bank and falling off willow branches and overhanging limbs. 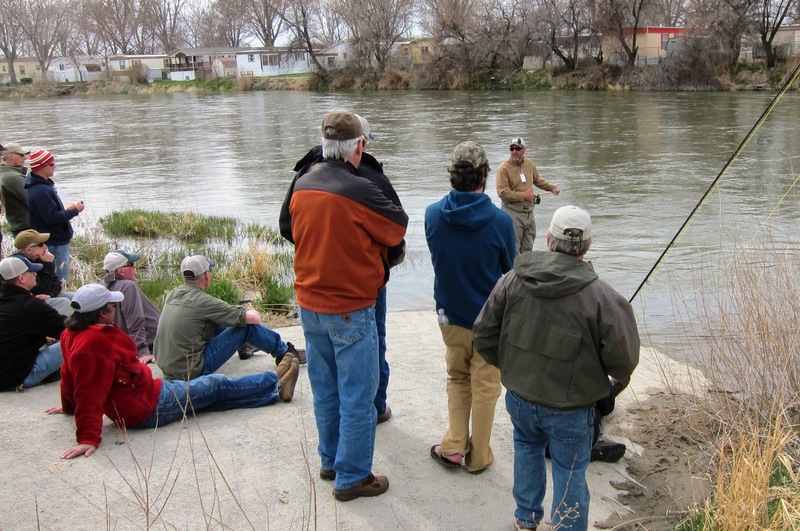 Tip of the Week: Streamer fishing can be productive on warmer days in the winter. Vary the speed of your strip starting out with a long, smooth strip keeping the tip of the rod on the water. If this doesn't work, try a faster strip and/or pausing to allow the streamer to sink before continuing the fast strip. Also try a dead drift with several big mends in the line to allow your streamer to get deep. 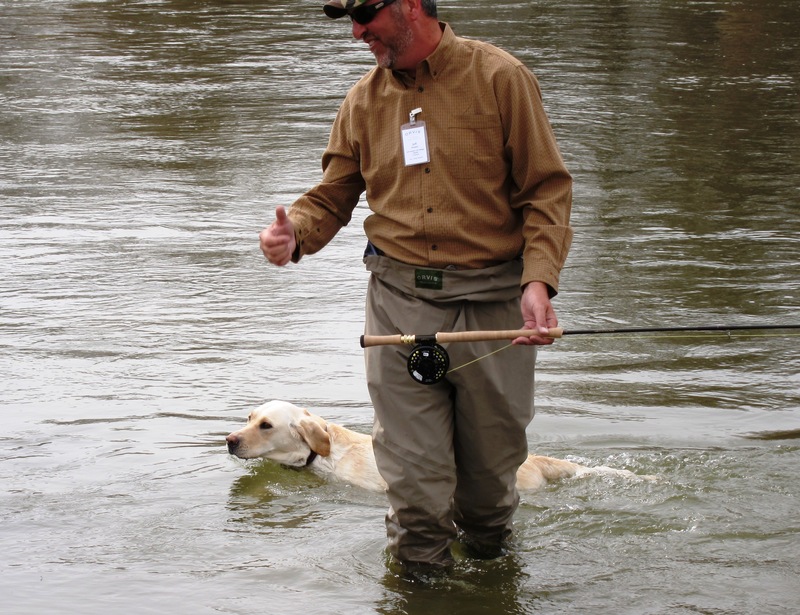 A 2X tippet is recommended for streamer fishing this time of year in a 9' length. If these techniques don't produce, tie a small #16 beadhead pheasant tail or flashback hare's ear on the bend of the streamer hook with a 5x tippet and strip very slowly through the deep pools. 7 day outlook: The weather forecast is calling for highs in the 40's with possible snow showers through the week. 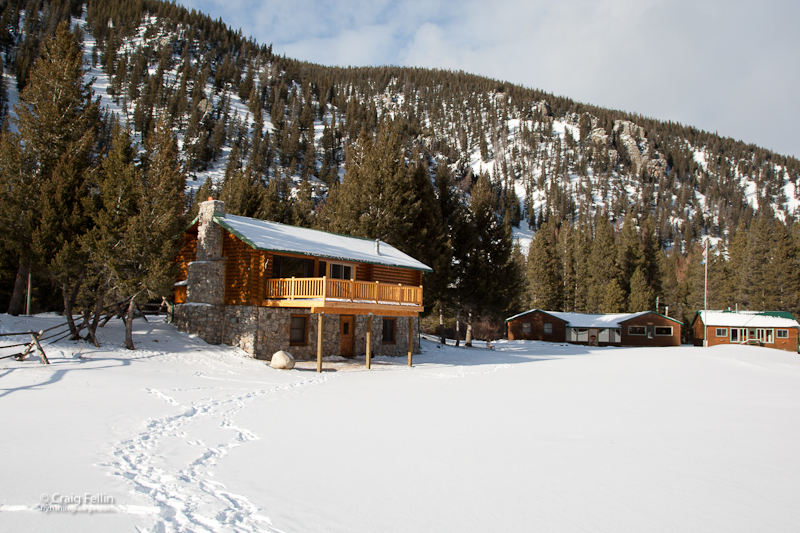 At Big Hole Lodge we are eagerly awaiting the 2011 fishing season. Winter 2010 was very dry and mild in Montana, which normally means summer drought for our snow-fed rivers and streams, but we had a wet spring and summer didn’t arrive until mid July, and it was abnormally cool when it did. We had one of the best water years on record and though the hatches and fish were displaced by the high flows on the Big Hole, making fishing tough for most of June, the trout benefitted greatly. 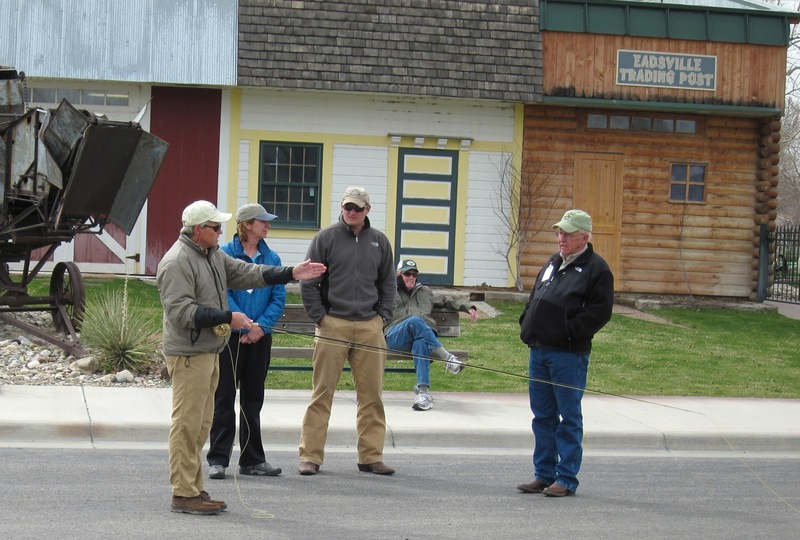 According to the state fisheries biologist the fish looked healthy and numbers were up in all trout species except the cutthroat, which have been on the decline in recent years. Winter arrived this year with a vengeance as if to make up for last years poor showing and we currently have above average snowpacks and bitterly cold temperatures in the Big Hole Valley. Next summer should be a great year with plenty of water and healthy fish! This is a La Niña year, which means that cooler sea surface temperatures drive colder and wetter weather into the northern Rockies. 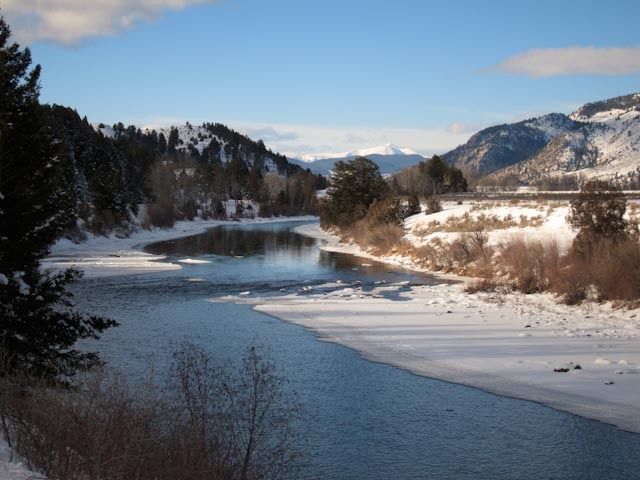 At the start of December, Montana was 120% of last year with some watersheds reporting as high as 150%. According to the weather models we have a 70% chance of having colder temperatures and more snow than historical average over the next 6 months. Although that is by no means certain, it's much better than a coin toss and as of January 3rd we are sitting above historical average statewide, and 120% of last years snowpack. Our famed salmon fly hatch typically comes off in mid-June, although with the high water they didn’t show up until June 24th last year. After the big bugs are gobbled up we have golden and yellow stone hatches which bring on great dry fly action for the weeks following the salmon flies. 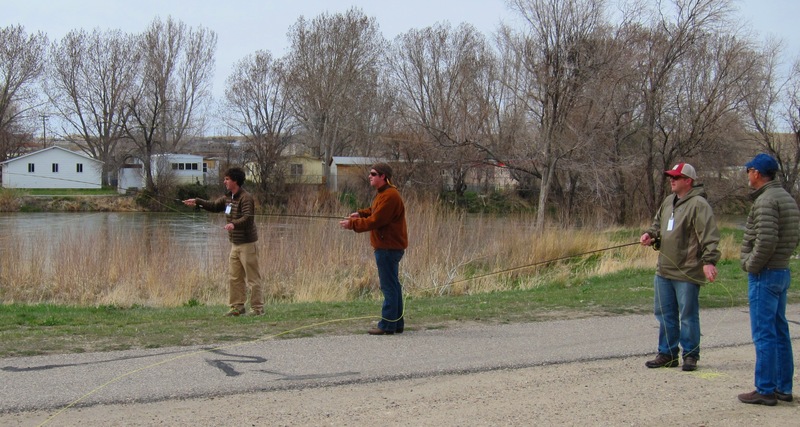 The PMD fishing on the Big Hole and Beaverhead is also fantastic, starting in early July and lasting into early August. Those of you who have been here in late July are well aware of the ‘spruce moth buzz’, excitement over a somewhat inconsistent annual hatch of moths that flutter down from the woods and drive the big brown trout crazy. The Big Hole can appear to be boiling with feeding fish in late July and early August. August also marks the start of our world renowned trico and hopper fishing. In the mornings before the sun is high clouds of tiny grey and black bodied tricos ascend, mate, and descend upon the water to try and lay their eggs before frenzied trout have a chance to gulp them in. If you aren’t worn out by lunch, you will spend the afternoon plopping a giant grasshopper pattern onto the banks, looking for big Mr. Brown snoozing in the shade. Hopper, beetle and ant fishing continue through September until the temperatures start to get cold, the browns start to turn a vibrant orange, and streamer fishing gets hot! So before 2011 flies by like 2010 drop us a line or shoot us an email, we’d love to enjoy this promising fishing season with you. This is a La Nina year which means that cooler than average sea surface temperatures drive this phase of colder and wetter weather in the northern Rockies. According to the models we have a 70% chance of having colder temperatures and more snow than average over the next 6 months. That's much better than a coin toss, although by no means certain. And average is nothing to frown upon-I like average; that's 10+ feet of snow on the ground in Cooke City! You can learn more by checking the Climate Prediction Center site which has maps and lots of information on long range forecasts. 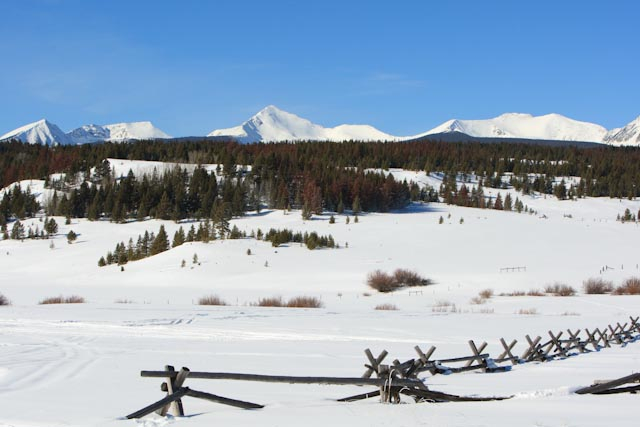 Our snowfall data is from the NRCS SNOTEL sites scattered throughout southwest Montana. Higher elevations have deeper snows as well as drifts forming in the gullies and couloirs of the higher peaks. I'm estimating that most mountain ranges have 12-24 inches of snow at 9,000 feet. Barring a freak melt, this snow will form the foundation of our winter snowpack. We like getting dense, wetter snow this early in the season. 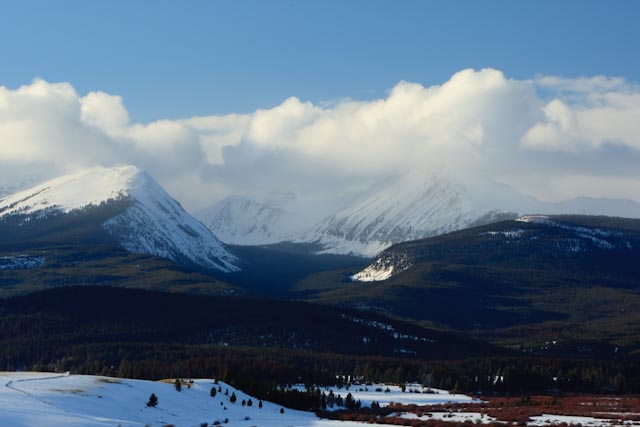 Keep doing your snow dances, the mountains above Wise River received 11 inches last night. 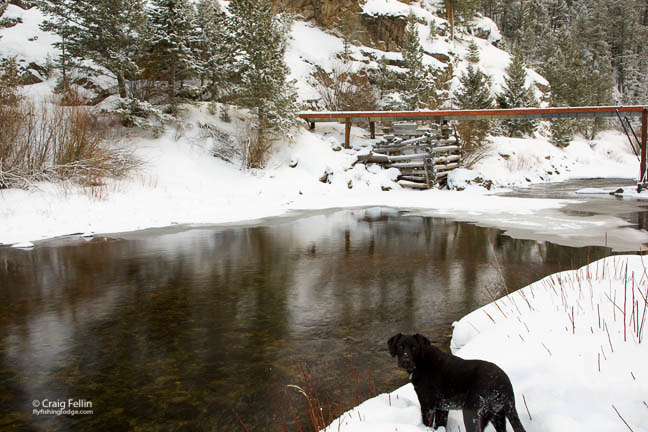 The Big Hole River has a good start with this dense snow in the high country and we're looking forward to a lot more.